We offer a complete array of services for your healthy and sick animals. We place an emphasis on preventive medicine to keep your pet and your family healthy so you can enjoy as much quality time together as possible. The highest standard of veterinary care is what we always strive for, but ultimately all decisions are made with the owner's financial, emotional, and physical capabilities in mind. All animals should have at least one routine wellness exam annually and senior animals with any health concerns should be seen twice a year. Routine examinations are a great time to prevent problems and discuss any concerns you may have. We will discuss your pet's lifestyle, diet, and contact with other animals and any travel that may have a significant impact on their health. Yearly physical examinations allow for documentation of body weight, condition, and blood work that can help us detect any changes much faster. If your pet is not be due for any vaccines or other procedures it is very important for us to see them yearly. Vaccinations of all animals is based on risk assessment of disease exposure. There are core vaccines for all animals, but we try to individualize all vaccination protocols so your pet gets everything it needs. 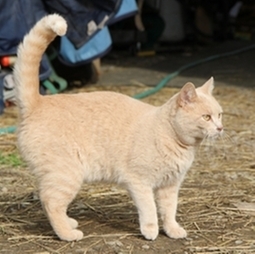 For example: indor cats versus outdoor cats, show dogs versus farm dogs, are going to require different vaccines. Proper deworming is not only very important for the health of your pet but your family as well. Most people know that roundworms and hookworms can cause disease in your pets, but many do NOT realize that people, especially children, can become ill if infected by these parasites as well. For this reason we recommend a monthly heartworm/intestinal parasite preventive for all dogs. We believe that all animals that are not intended for breeding should be neutered (For those that are curious: Neuter is a term used to describe the sterilization of either a male or female animal, but spay is specific for females only). Most people neuter their animals because they are concerned with unwanted puppies and kittens, but there are many health benefits to neutering especially with female animals. On average, neutered animals live longer and have significantly decreased risks for certain types of cancer and diseases that are otherwise common in intact animals. If you have any questions or concerns about getting your pet neutered, please talk to one of our doctors. All surgeries are scheduled ahead of time and performed on Monday - Thursday and most animals go home the same day.